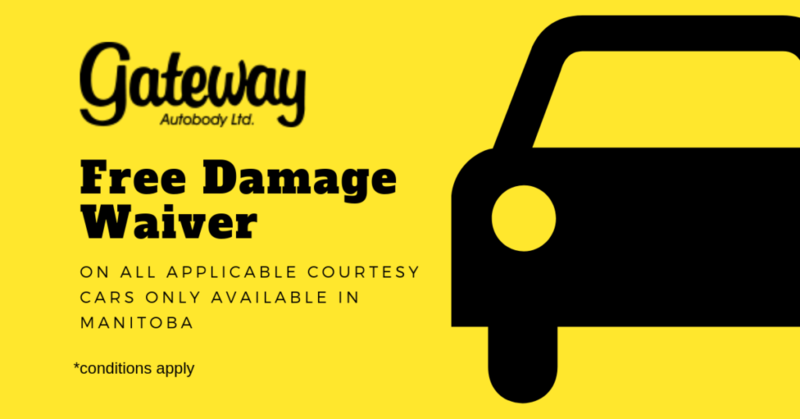 Condition – Gateway Autobody will discount $100 off, non-insurance auto body repairs valued at $1000 and more (excludes parts and materials) in accordance with its service offerings. Coupon must be presented on or before the date the damage assessment and price quote for non-insurance repairs is prepared. This coupon may not be used with other offers. 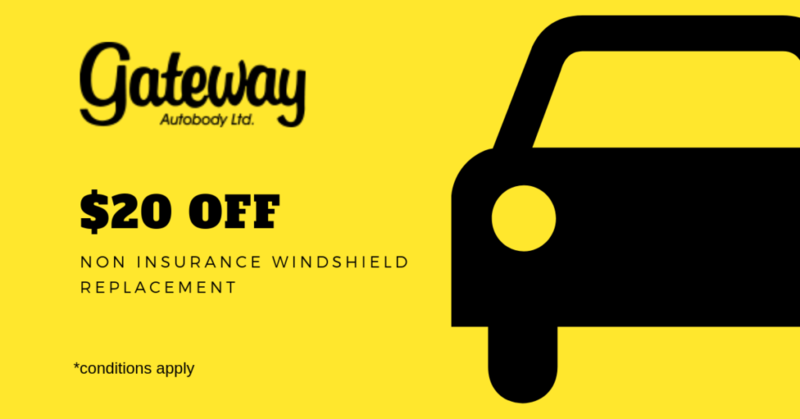 Condition – Gateway Autobody will discount $20 off, non-insurance windshield replacement in accordance with its service offerings. Coupon must be presented on or before the date the price quote for non-insurance windshield replacement is prepared. This coupon may not be used with other offers. Condition – Gateway Autobody will discount $10 off, non-insurance windshield chip repair service. Coupon must be presented on or before the date the price quote for non-insurance windshield repair is prepared. This coupon may not be used with other offers.